North Carolina continues it's dominance in the high jump sweeping the boys and girls High Jump at the Bojangles Classic. Both Morgan Smalls (Panther Creek) and Idris Bernard (Mallard Creek) were the last athletes remaining in the event as smalls cleared 5-8 and moved up to 5-10.5. Bernard was the sole boy to clear 6-10 and moved the bar up to 6-11 to attempt a new PR. Smalls took 2 attempts at 5-10.5, missing the first, timing out on the second as the nerves started to get to her. Smalls was able to bounce back from the time out to clear 5-10.5 on her 3rd attempt! This is just under her PR from last year of 5-10.75 at New Balance Outdoor Nationals. For reference, Smalls jumped 5-2 taking 12th at this meet last year before ending the year as an All-American in the event. Smalls moved the bar up to 6-0 as she attempted to become the third North Carolina girl to clear 6-0 in the High Jump ever. That day is going to be coming soon. Interview below with Smalls after her HJ win. 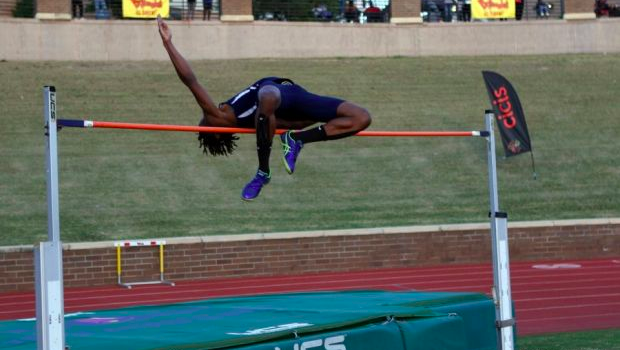 Her mark was the second best jump in Bojangles Classic meet history and is good for a current NC#1 and US#2 mark! Idris Bernard put himself on the map after jumping 6-10 at a weekday meet at Hough HS two weeks ago. Bernard came into one of the strongest High Jump competitions he's seen in his career and was able to score his first major victory. Bernard was the only athlete able to clear 6-10, and had three close attempts at 6-11. Bernard's win is a big one over the North Carolina Indoor High Jump State Record holder Charles McBride, who had a lot of good jumps and really impressed the crowd early on. Bernard scoring a win over his NCHSAA 4A rival confirms we're going to have an awesome High Jump competition ahead between Bernard, McBride and Randolph Ross (Garner) who have all cleared 6-10 and each have been each other this season. Interview below with Bernard after a great night in the high jump and equaling his NC#1, US#12 performance.